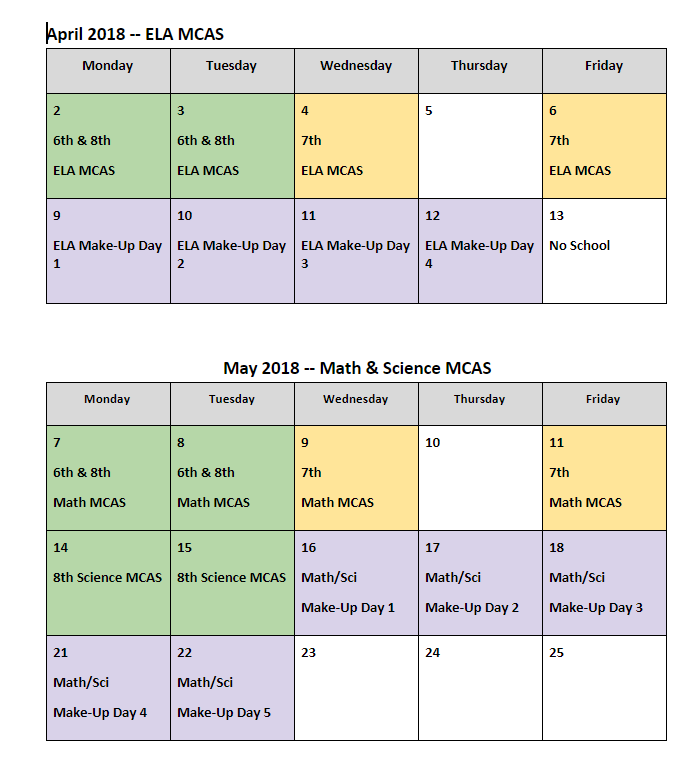 Below is McAuliffe’s MCAS testing schedule for April and May 2018. Please mark these days on your calendar and refrain from scheduling any appointments that will cause your scholar to miss school, arrive late, or leave school early on testing days. All McAuliffe scholars are expected to participate in the state standardized testing which will be computer-based for all scholars this year. For more information about standardized testing at McAuliffe, please CLICK HERE, to review the standardized testing section of our Family Handbook. The DESE also provides parent/guardians with information: CLICK HERE.